The hardest challenge for businesses in the digital age is acquiring customers. Referrals are the best solution and mobile phones are the best platform to reach your existing customers. Because SMS has a massive open rate of up to 98%, text messaging services present online businesses with a higher potential for success. There are two goals for a customer acquisition campaign; to acquire new customers and to encourage existing customers to spend more whilst lowering your marketing costs. SMS provide a perfect solution for the second goal. And with the right campaign, you can meet targets for your first goal as well. Customer referrals are the best way of attracting new customers. Word-of-mouth advertising is by far the best form of marketing. An article in the New York Times stated that 65% of new business comes from referrals. Nielson also report consumers are four times more likely to making a purchasing decision following a recommendation. Dropbox accrued 300,000 sales in 15 months through a referral strategy. The cloud-storage company promised their existing customers an extra 2GB of free storage space for every successful referral they made. 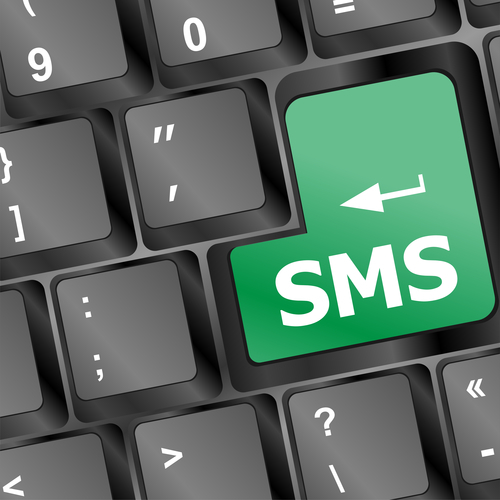 Sending SMS marketing messages is a cost-effective solution to increase your ROI. The majority of consumers will open text messages. But not only that, SMS has a higher response rate than many other communication channels. To acquire new prospects, why not tap into your existing customer-base and offer them an incentive when they refer a friend. This strategy not only raises brand awareness and increases sales, but expands your SMS marketing list for future promotions. Promotional campaigns should be carefully planned. Sweeping marketing messages usually miss the mark. Organise your customer’s interests in categories and offer an incentive they are most likely to be interested in. Use web analytics and consumer data to determine which of your product range is most likely to attract new customers. You will also need a landing page and sales funnel to provide new customers with relevant information. Even customers that have been referred require persuading. How you create your marketing funnel depends on the nature of your business and the technology you use. But because the majority of consumers own a mobile phone which is rarely out of reach, SMS is a powerful marketing channel that guarantees you will reach your audience. In general, marketing costs are expensive. And every marketer knows it costs more money to acquire new customers than to keep existing ones. According to statistics, acquiring new customers costs five to six times more than retaining existing customers. The key to reducing marketing costs is to improve customer satisfaction. Happy customers will keep coming back and are more likely to refer family members and friends. To improve your customer services and marketing campaigns, it pays to know what customers really want from a business. In contrast, customers that are not satisfied with your service already getting their coat and eyeing up your competitors. Before embarking on a customer acquisition campaign, why not test the water and use an SMS survey to identify “at risk” customers and determine how you can improve your service. Net Promoter Scores (NPS) and other online survey tools are an effective way of driving traffic and improving customer loyalty. Ask the right questions and you can also learn more about which products most interest your existing customers. You can then use this information to categorise incentives for customers. You’re maybe wondering why SMS is the best channel for acquiring new customers. The simple reason is because the majority of consumers have a mobile device, open text messages and do not have to be connected to the internet to receive an SMS. We do recommend using your usual channels alongside SMS, particularly free platforms such as social media, email and messaging services. The more low-cost platforms you use the more opportunity you have of extending your reach and prompting customers to take action. But compared with other low-cost marketing channels, SMS is the strongest performer. Very few people open brand emails, social media has a limited reach unless you engage in a paid advertising campaign and messengers require recipients to download an app. If they do not have the app you can’t connect with them. Everyone has SMS. In order for your business to survive and flourish, it is vital that you grow your customer database. And although many low-cost means of “connecting with customers” promise more than they deliver, SMS is proven to be an effective channel that can help you acquire new customers through existing customers.